Live streamed at no cost. Watch our website. The program follows Central Daylight Time. You must have a ticket to enter the church. Find the book here for $19 + S/H. or call us M - F CST at 763-559-4444. In summary, GotQuestions.org says, "....the church is not a building or a denomination. According to the Bible, the church is the body of Christ -- all those who have placed their faith in Jesus Christ for salvation ( John 3:16; 1 Corinthians 12:13). Local churches are gatherings of people who claim the name of Christ. 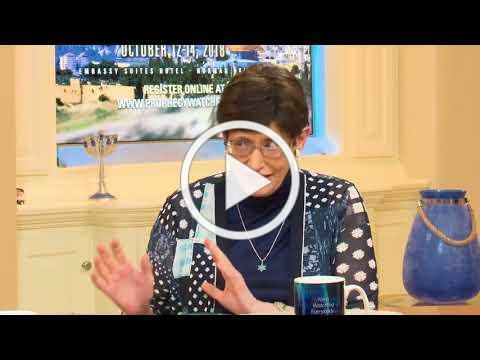 Gary Stearman and Jan Markell discuss church issues on Prophecy Watchers TV. Hear our current radio program with Dr. Ed Hindson here. It is titled "Is the Rapture the Great Escape?"